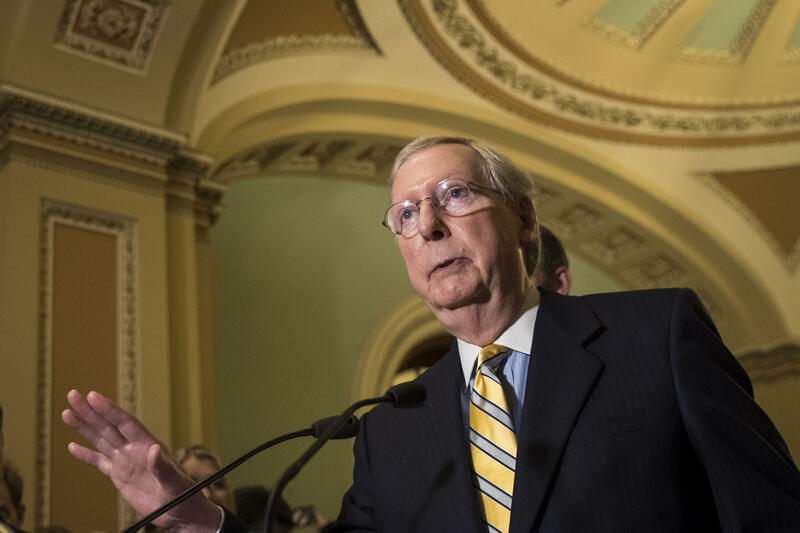 A week after an attempt to repeal the Affordable Care Act failed, Senate Majority Leader Mitch McConnell says he'd consider a bipartisan effort to continue payments to insurers to avert a costly rattling of health insurance markets. McConnell told reporters Saturday there is "still a chance" the Senate could revive the measure to repeal and replace "Obamacare," but he acknowledged the window for that is rapidly closing. The Kentucky senator noted Republican Sen. Lamar Alexander of Tennessee is working on "some kind of bipartisan approach" that would involve subsidies for insurance companies. Last last month, President Trump tweeted: "If a new HealthCare Bill is not approved quickly, BAILOUTS for Insurance Companies and BAILOUTS for Members of Congress will end very soon!" The "bailouts," as Mr. Trump called them, are government payments that allow insurers to compensate for providing lower-deductible plans to low and middle income enrollees. The payments are slated to cost the government $7 billion this fiscal year and $10 billion in 2018. Withdrawing that support, however, could have a ripple effect through the health care economy. Experts said in a health care conference call last week that slashing funding would likely hurt consumers who buy their insurance through the ACA exchanges, as well as throw the marketplace into greater turmoil. "It's important to lay out the consequences of not paying these payments, because they're not what the president thinks they are," said Andy Slavitt, the former director of Center for Medicare and Medicaid Services. He added, "This is money that goes directly to low-income individuals. If you lay out the fact they're not paid, you'd like to think that would have an impact on the White House's thinking."